Blended families can make estate administration even more confusing than it already is. View here for more about the process. There are a lot of both similarities and differences between executors vs. trustees. Understanding what is similar and different about these roles will help make handling an estate much easier. 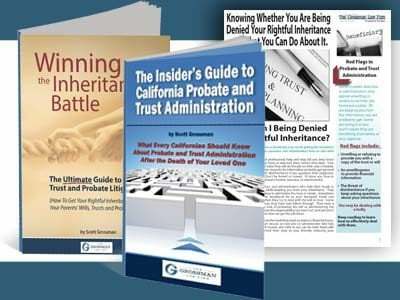 Can I Make the California Executor Give Me a Copy of the Trust? Often we’re asked if we can make the executor of the trust give someone a copy of the trust. Getting familiar with the language for Probate helps! Proving Lack of Capacity: Contesting A Will Or Trust For Lack Of What? When appalled heirs learn how a parent’s wealth is to be distributed, they are quick to invoke lack of capacity. 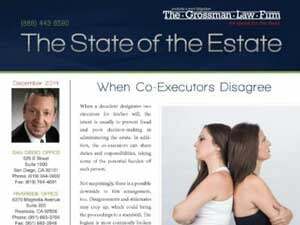 California probate lawyer Grossman explains. Pursuing a will or trust contest is not a decision that should be taken lightly. It is important to take the proper steps before choosing this option. 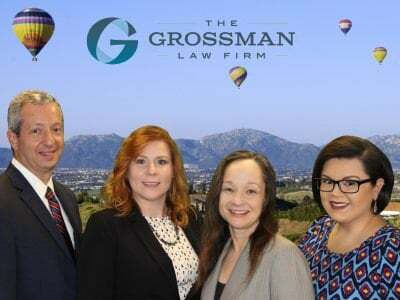 The Grossman Law Firm suggests what evidence to collect before you discuss your mentally incompetent will contest case with a San Diego probate lawyer.